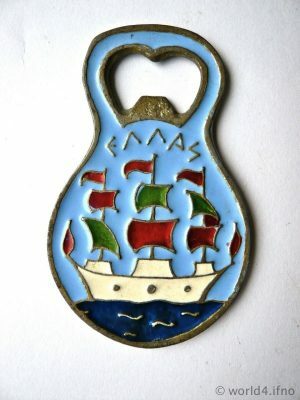 Home » 60s » Bottle Opener Greece souvenir seahorse. Bottle Opener Greece souvenir seahorse. Greece souvenir. 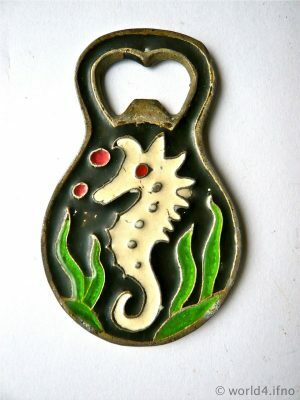 Bottle Opener with Seahorse and ship. Enamnel craft. Souvenir from Greece in the form of a bottle opener. Material enamel, brass. Picture of a sea-horse and a sailing ship with the words, Hellas. Around 1960. Next PostMoose Bottle Opener. Canadian Souvenirs.